With gorgeous weather and the most beautiful scenery on the planet, it’s no wonder that so many people choose to ride bicycles in Hawaii. Whether riding for pleasure, exercise or as your primary means of transportation, cycling is a great activity, but it should be undertaken with caution. Cyclists share the road with motorists, who often are not looking out for bicycles or who do not give cyclists the room and respect they need to ride safely. When a bicycle rider is injured in Hawaii because of a motor vehicle driver’s negligence or reckless driving, Hilo bicycle accident lawyer Louis Mendonca steps in to help make sure that bicycle accident victims get the care and compensation they need and deserve to recover as fully as possible after a serious Hawaii bicycle accident. Bicycles are entitled to share the road with motor vehicles in Hawaii. Cyclists are expected to know and obey the rules of the road, and all Hawaii motor vehicle traffic laws apply to bicycles as well to the fullest extent possible. Where bicycle lanes are present, cyclists should ride in the bicycle lane and only veer out of the lane when necessary to make a left turn, pass a parked car or another vehicle, or where the space is too narrow to ride safely. Bicycle lanes are for bicycles, and motor vehicles should stay out of these lanes as much as possible. Drivers are also expected to yield to a cyclist before turning across a bicycle lane. Additionally, drivers may only open their car doors on the traffic side when it is reasonably safe to do so, in part to prevent a cyclist from getting “doored.” Drivers are supposed to check first before opening the door and not leave the door open for any longer than is necessary. Additionally, bicycle riders are particularly vulnerable to defects in the road due to negligent road construction or maintenance. Cyclists may have a claim against the governmental entity responsible for maintaining the roadway, but they must act quickly to preserve their rights. The at-fault driver in a bicycle accident may be liable to the injury victim for the full amount of the victim’s legal damages, which may include items such as present and future medical expenses, present and future lost income, pain and suffering, emotional distress and loss of quality of life. 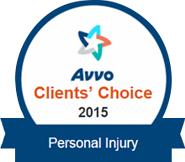 If the driver is uninsured, the injured cyclist may be able to obtain no-fault benefits from the rider’s PIP policy. 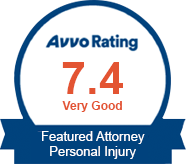 Louis Mendonca is an experienced personal injury attorney who can take you through the appropriate steps to recover the maximum in benefits and compensation from all available sources. This process can include negotiating with and litigating against insurance companies who do their best to deny claims or pay as little as they think they can get away with. If you or a loved one has been injured in a bicycle accident in Hilo or throughout the Big Island, call the law office of Louis P. Mendonca, Attorney at Law, for a free consultation about getting the car and compensation you need and deserve.